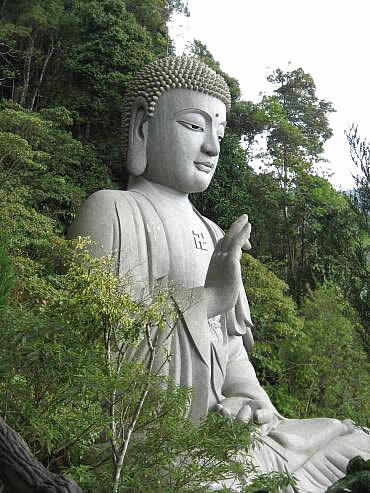 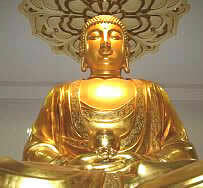 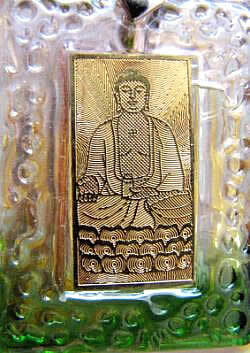 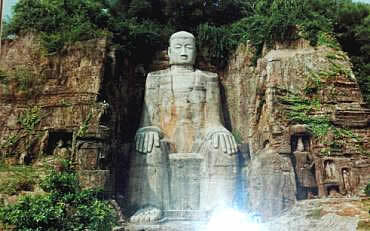 Buddha means "the enlightened one." 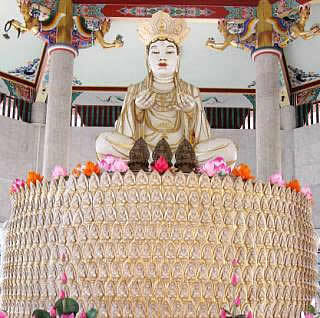 It is a title which is applied to those who have realized anuttara-samyak-sambodhi and who have perfect wisdom and universal compassion. 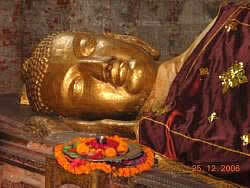 There is no one like the Buddha. 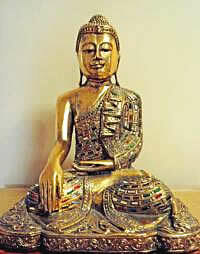 Throughout the worlds of the ten directions he is matchless. 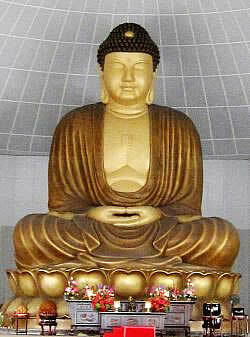 There is nothing at all that is like the Buddha. 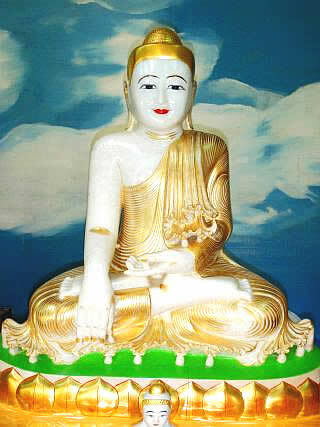 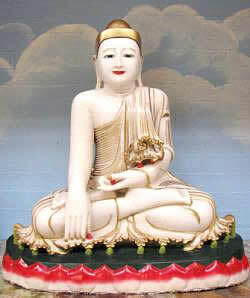 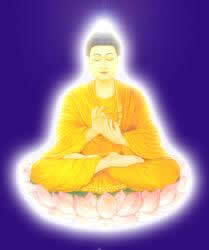 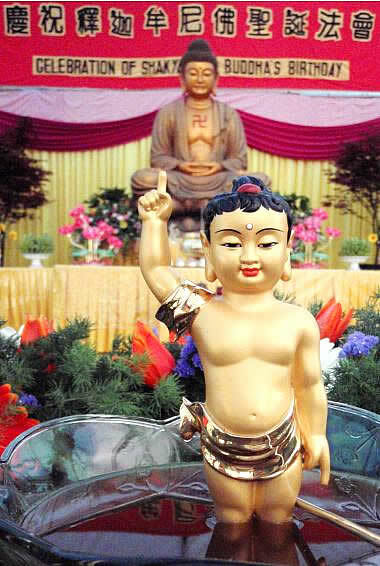 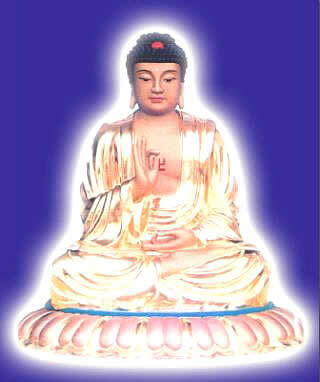 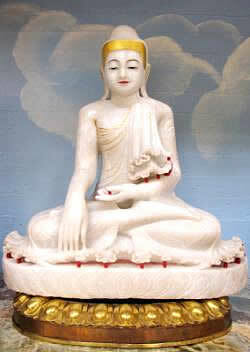 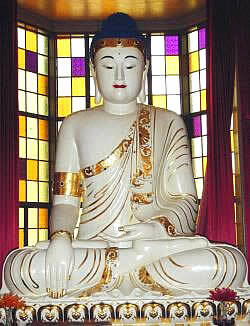 Whose transformation bodies are of three kinds, our original teacher Shakyamuni Buddha. 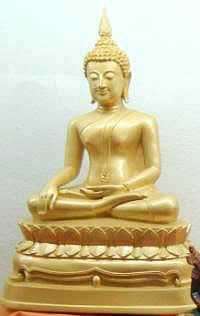 Namo Fundamental Teacher Shakyamuni Buddha. 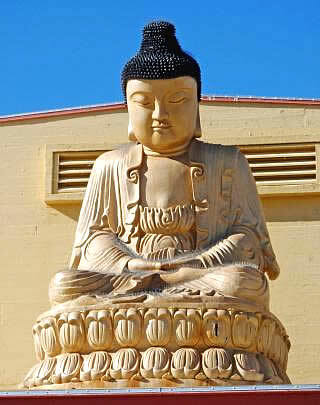 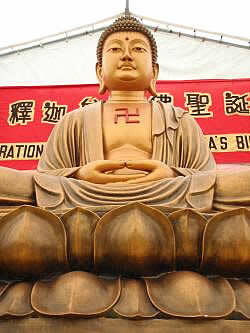 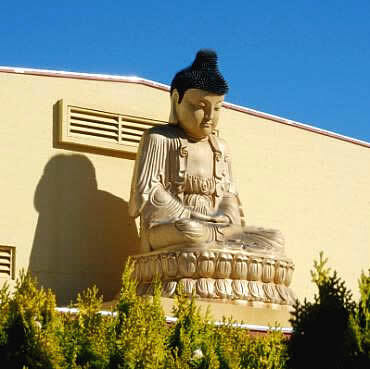 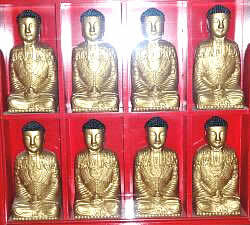 There were other Buddhas in the past and in other world systems and there will be Buddhas in the future. 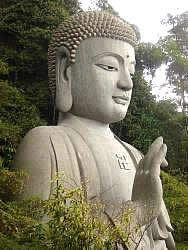 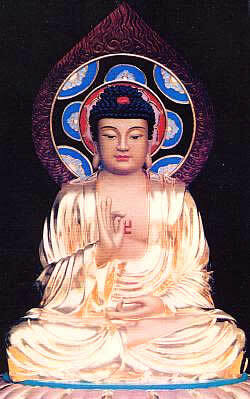 Living beings have the potential to cultivate and become Buddhas. 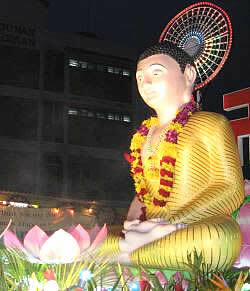 Venerable Ananda, and Venerable Mahakasyapa. 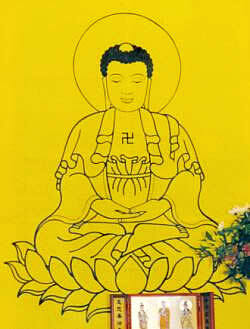 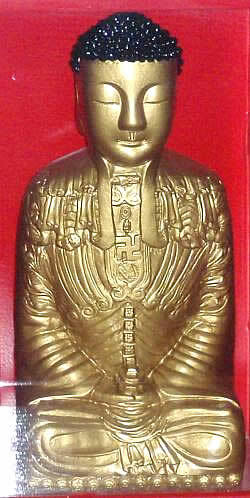 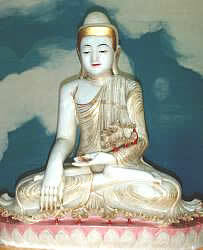 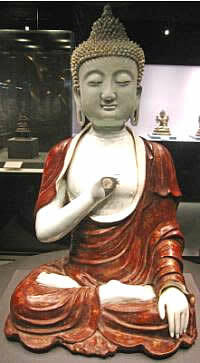 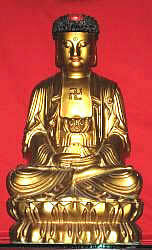 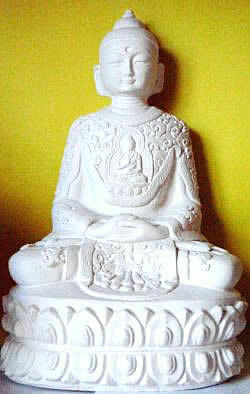 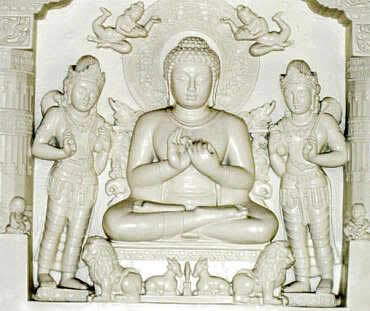 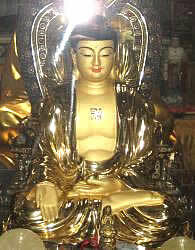 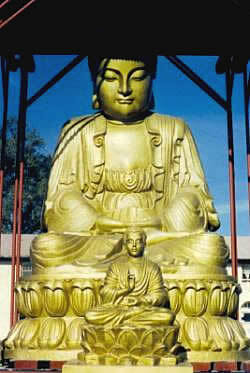 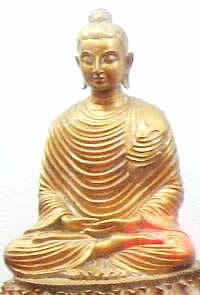 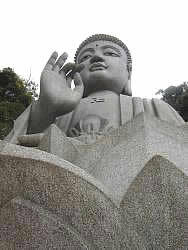 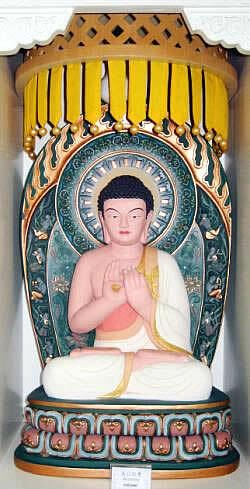 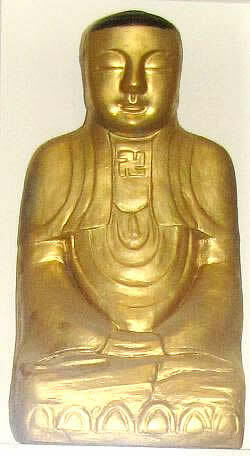 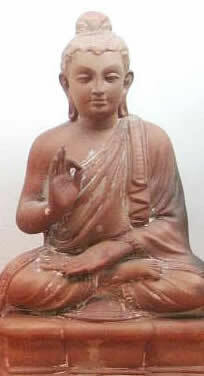 The Venerable Ananda was one of the great disciples of the Buddha. 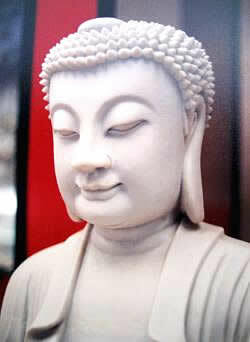 He was the Buddha's cousin and attendant who had a photographic and flawless memory. 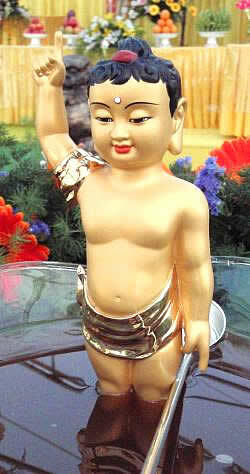 His name means rejoicing. 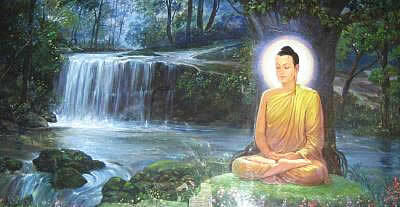 He was foremost in erudition and he remembered all the Sutras the Buddha spoke. 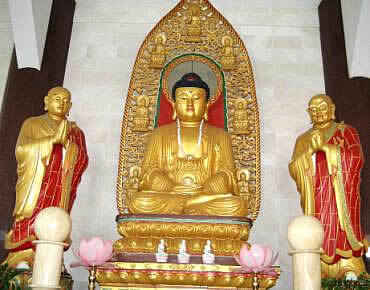 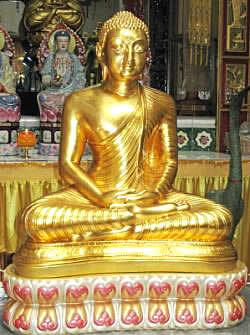 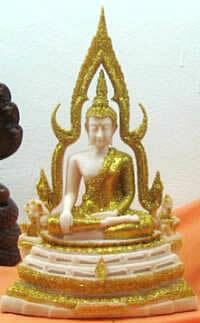 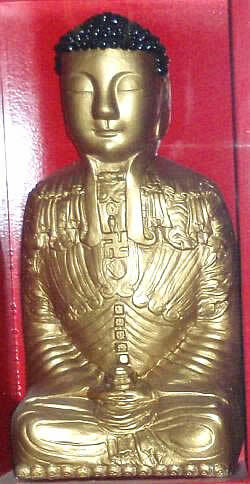 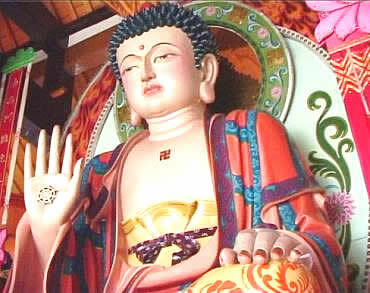 The Venerable Mahakasyapa is the First Patriarch who inherited the Buddha's name and bowl. 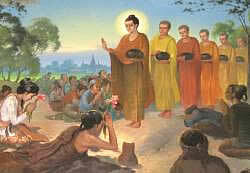 He was foremost in ascetic practices. 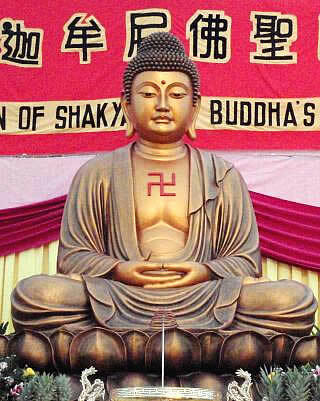 "Maha" means "great, many, and victorious." 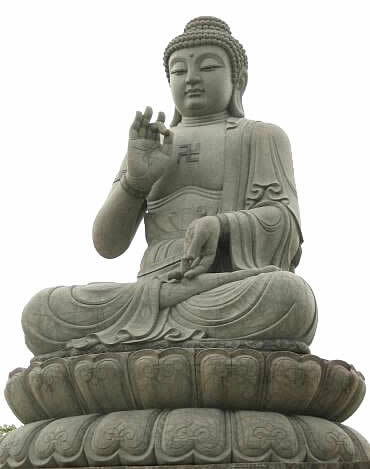 "Kasyapa" means "great turtle clan." 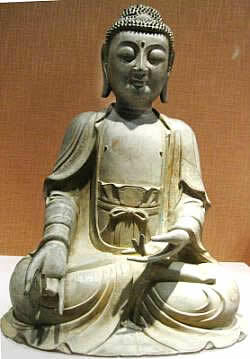 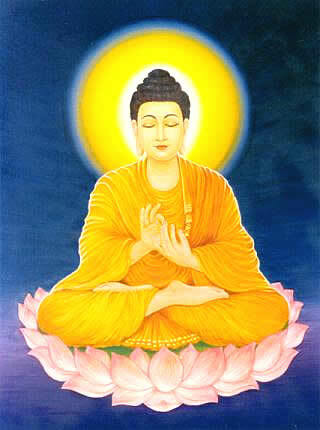 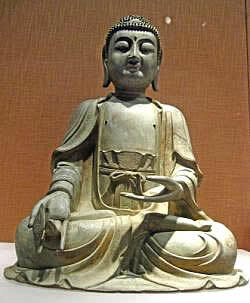 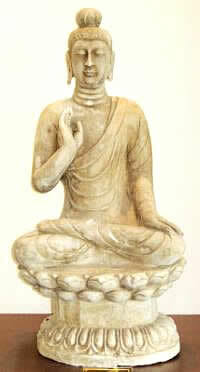 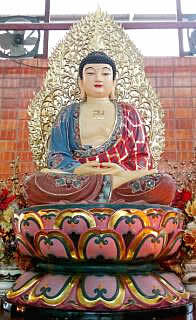 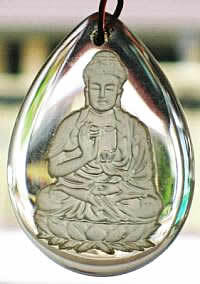 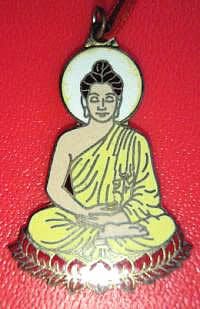 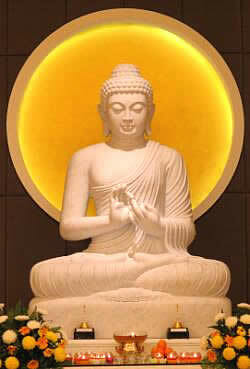 In the Lotus Sutra, the Buddha bestowed upon Mahakasyapa, the prediction of Buddhahood.